KUCHING: Sarawak Energy Bhd and Shell MDS (Malaysia) Sdn Bhd have signed a Memorandum of Understanding (MoU) on working together to assess potential opportunities in lower-cost hydrogen production technology via electrolysis. The MoU includes a joint study and knowledge exchange on hydrogen production technology, education and drawing up best practices, as well as assessing opportunities for green certification in hydrogen production. 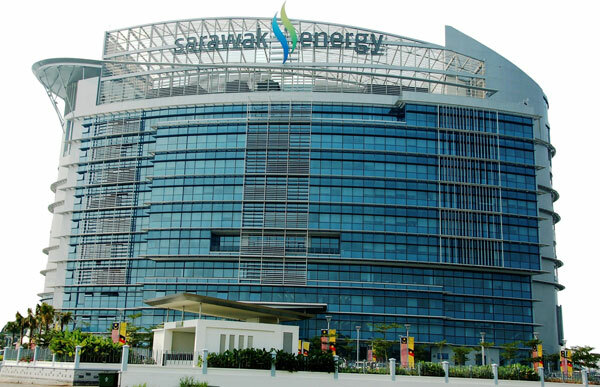 The signatories for Sarawak Energy were its Group Chief Executive Officer, Datu Sharbini Suhaili and Senior Vice-President for Legal & Enterprise Risk Nooruddin Abdullah, while Shell MDS was represented by its Managing Director, Omar Sheikh and General Manager for Manufacturing Chris Schultz. The MoU was a follow-up to the Sarawak Energy’s pilot hydrogen production plant and refuelling station project which is scheduled to be ready in time for a test run of three hydrogen-powered buses due to arrive here by the first quarter of 2019. The production plant and refuelling station is part of several initiatives undertaken by Sarawak Energy as part of the state-owned energy developer’s research into greening the transportation sector through low carbon fuels for the state capital. The first such plant in Southeast Asia, the pilot facility lays the foundation for research on the commercial viability of a hydrogen economy for Sarawak through the production, delivery, storage and utilisation of this “fuel of the future”. Commenting on the collaboration, Sharbini said the development of hydrogen and fuel cell technology was regarded as the missing link in the value chain of the renewable energy business. “This collaboration with Shell MDS sees us working to achieve a common goal in supporting the state’s aspiration to decarbonise our energy system, augmenting what Sarawak Energy is already doing via hydropower to provide clean, renewable and affordable energy for Sarawak,” he said. Hydrogen is a versatile molecule that acts as an energy carrier and delivers a cleaner fuel in mobility and energy storage, as well as a feedstock to industrial chemical processes. Current renewable hydropower makes up 75 per cent of Sarawak’s generation mix, hence, producing hydrogen from the grid will be less fossil-fuel intensive.